With Hitler at the height of his power, Carl von Menen, suave, wealthy and aristocratic, a high flying servant of the German Foreign Office, lives a duplicitous and dangerous life - he abhors the Nazis and wants to kill Hitler! But his vision of seeing a Nazi-free Germany shrinks to despair, when he is unexpectedly assigned to Argentina to keep a watchful eye on the emerging United Officers Group (GOU), a pro-Nazi/Fascist faction of military officers led by the aspiring Juan Domingo Peron. In Buenos Aires, von Menen is sucked into a cauldron of treachery, deceit and revolution, heightened by his secret ideology, the far-reaching threat of the Gestapo and his clandestine dealings with the seemingly obliging Colonel Filipe Vidal, a man who emerges with a devious and sinister agenda: a plot to side-line Peron and seize power for himself. But Vidal needs arms and his coercive key to getting them is the life of the woman von Menen loves, the dazzling Maria Gomez. Scheming his way back to Europe, von Menen finds Berlin in ruins, the Gestapo in overdrive, and a merciless Red Army charging towards Germany with only one thing in mind - vengeance! Gambling his own survival against certain execution, he contrives to convince a desperate and weakening Nazi hierarchy that Vidal has a pro-Nazi deal on offer that not even Peron can equal. Hitler finally gives his approval, but the scent of treachery is in the air and the Gestapo is watching. James Remmer explores the covert operations of WWII with reference to the early years of Peron and to real events of the war years. 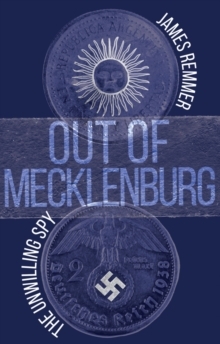 The book offers a unique perspective into WWII and will appeal to fans of historical fiction, especially those interested in undercover operations during the Second World War.